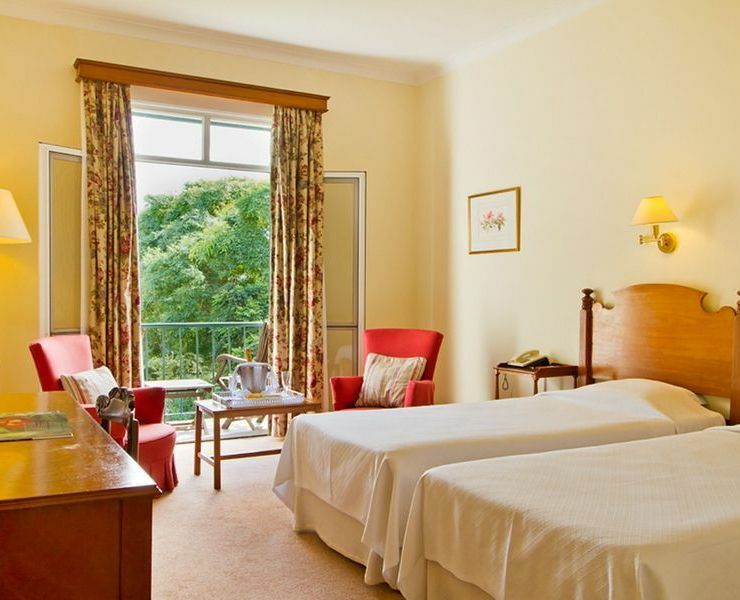 The rooms offer free connection to the Internet over Wi-Fi and LED TV, and are available with 2 twins or 1 king-size bed. 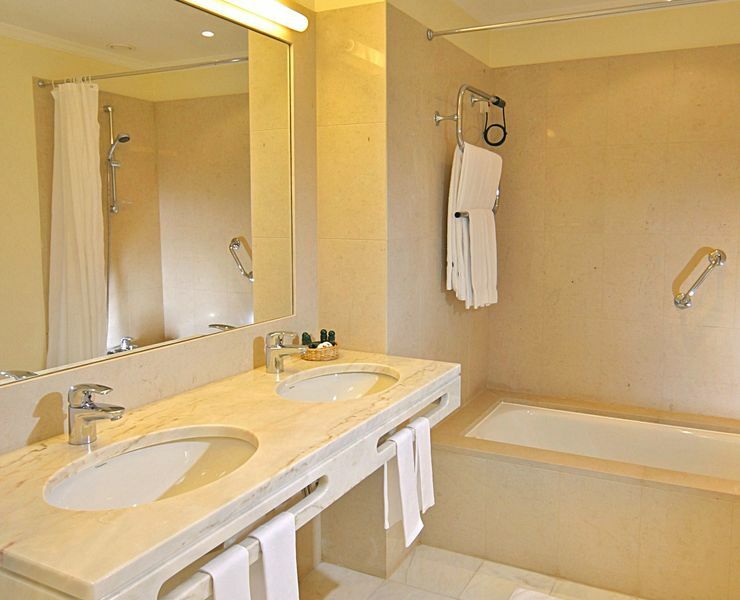 Optionally, rooms with connecting doors are available. 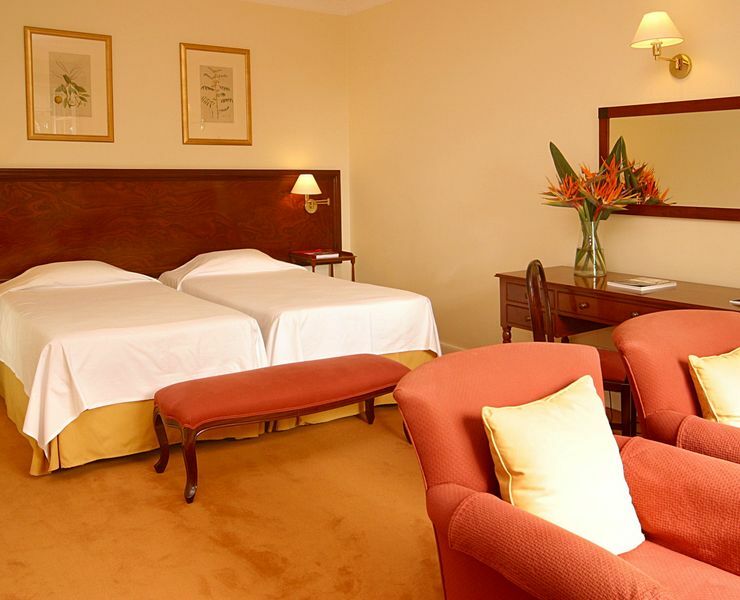 Extra bed or baby cot are available upon request and must be confirmed directly with the Hotel. 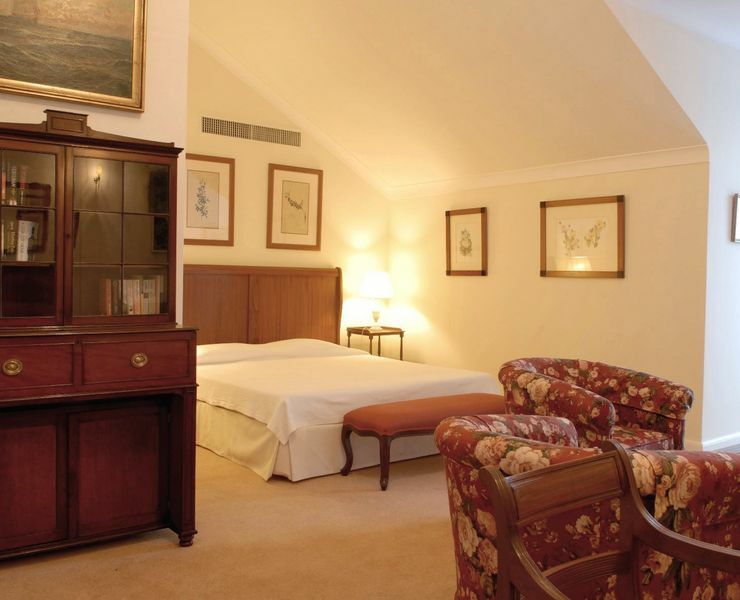 Room with 27 square metres this room offers a warm and comfortable welcome to visitors and is the perfect choice for a enjoyable stay. 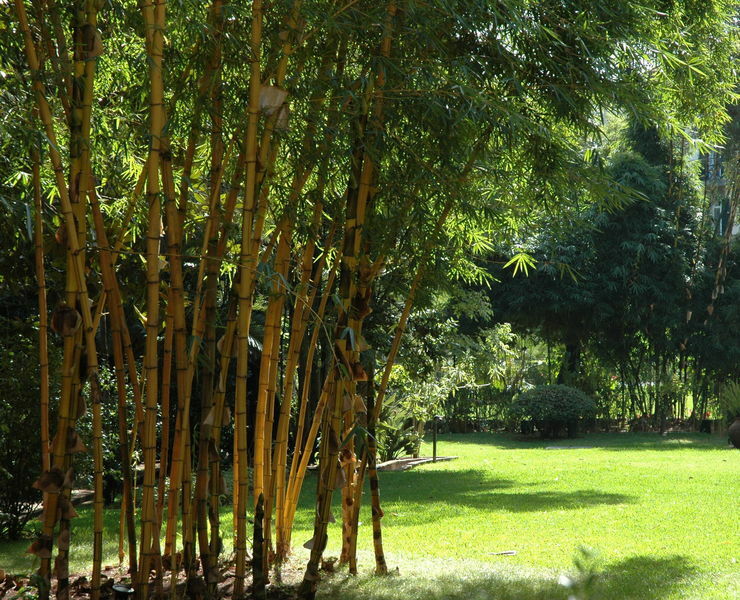 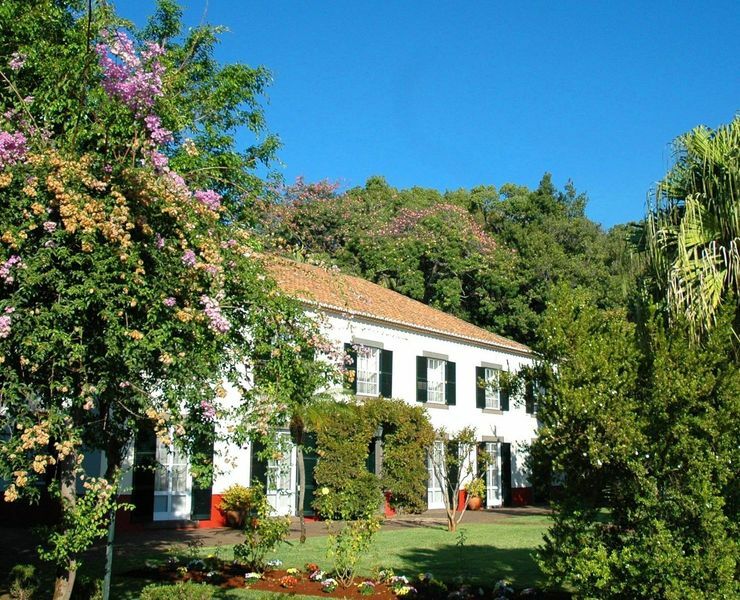 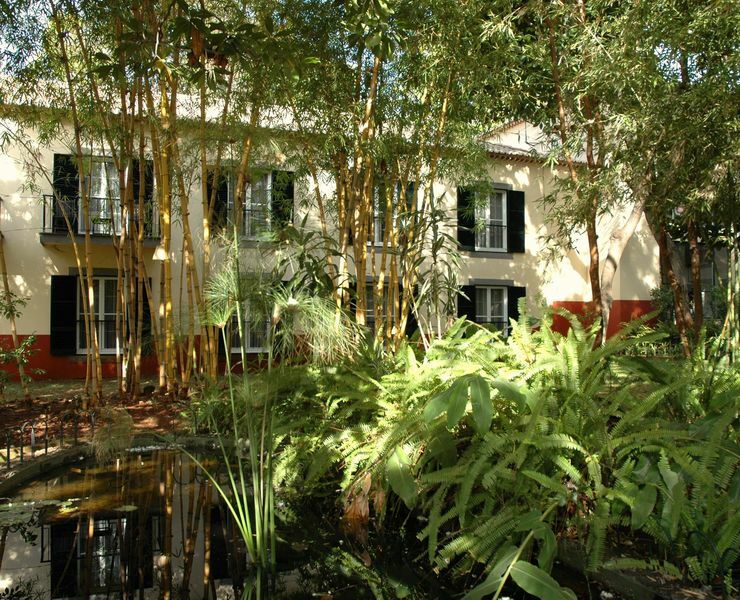 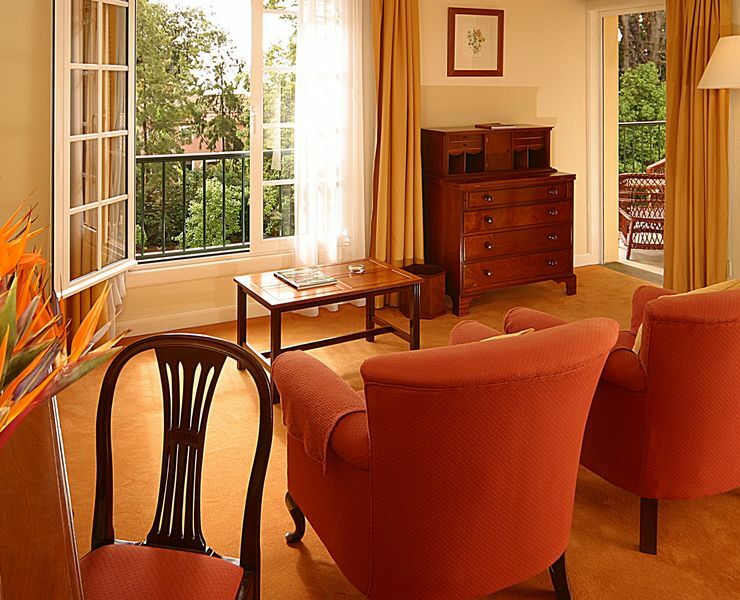 It has seating and desk area and delightful views overlooking our lush gardens. 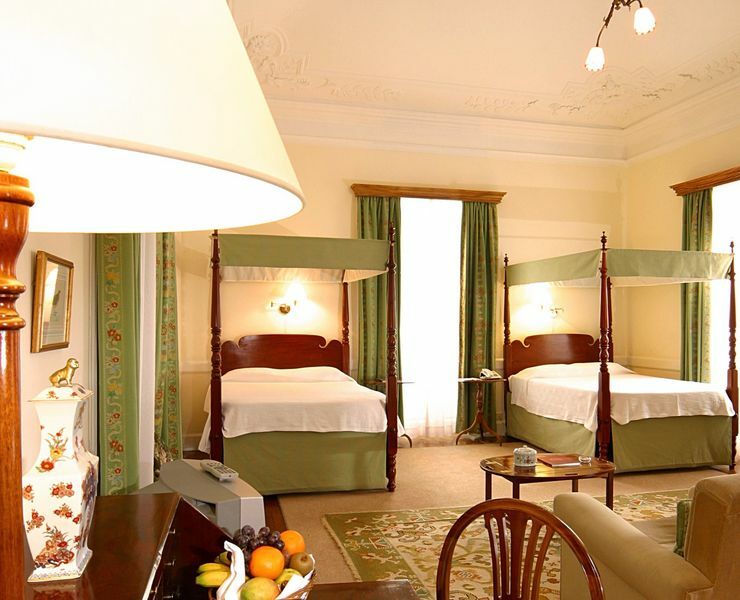 Available with 2 twins or 1 king-size bed. 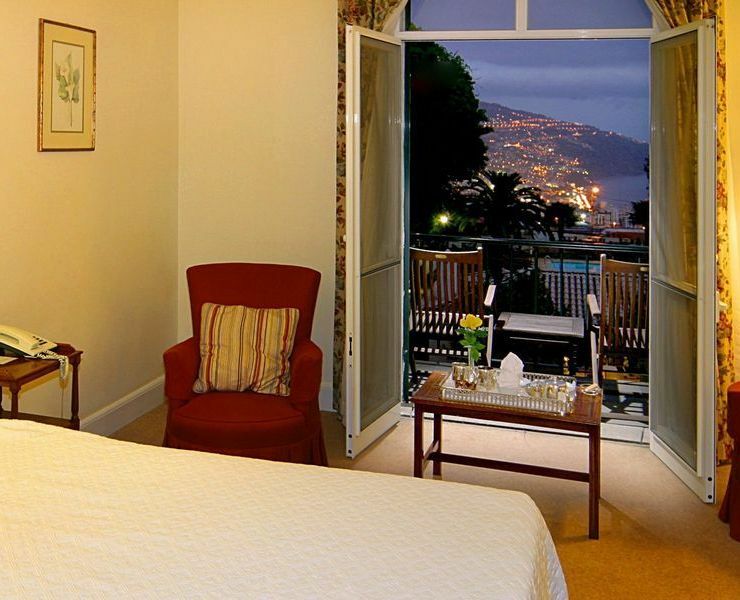 Room with 33 square metres this room provides visitors to a private balcony overlooking our lush gardens or Funchal bay and mountains. 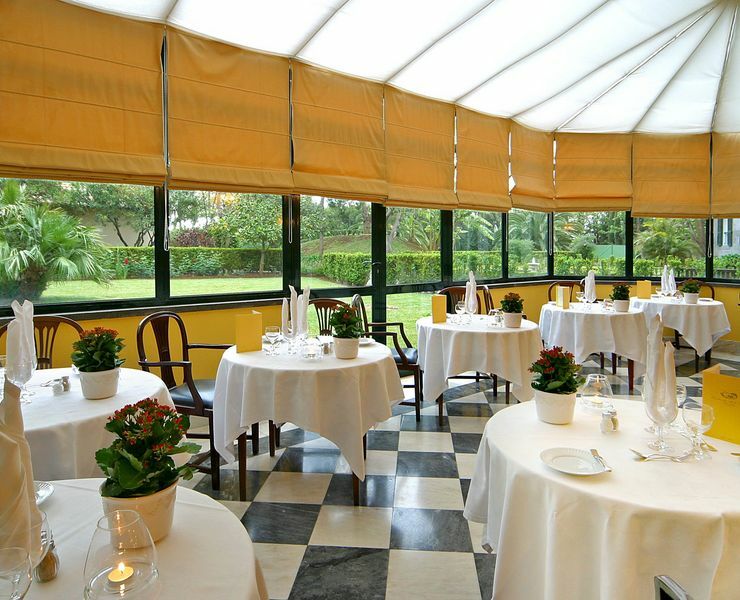 Beautifully designed and furnished, it has a seating area and working desk. 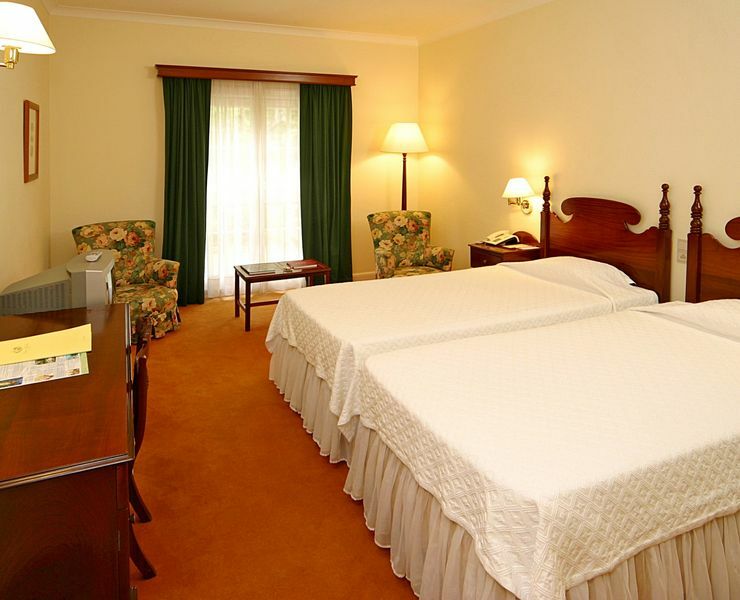 Available with 2 twins or 1 king-size bed. 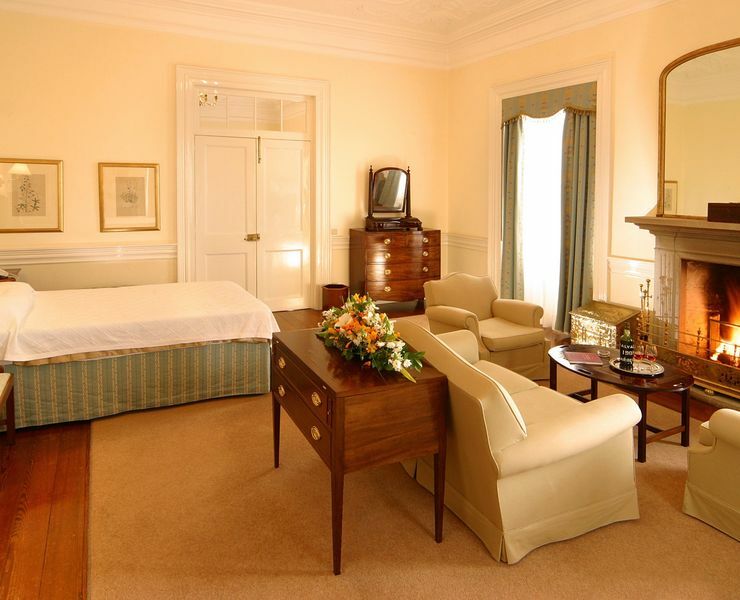 Room with 50 square metres, this room is ideal for those looking to make their stay extra special. 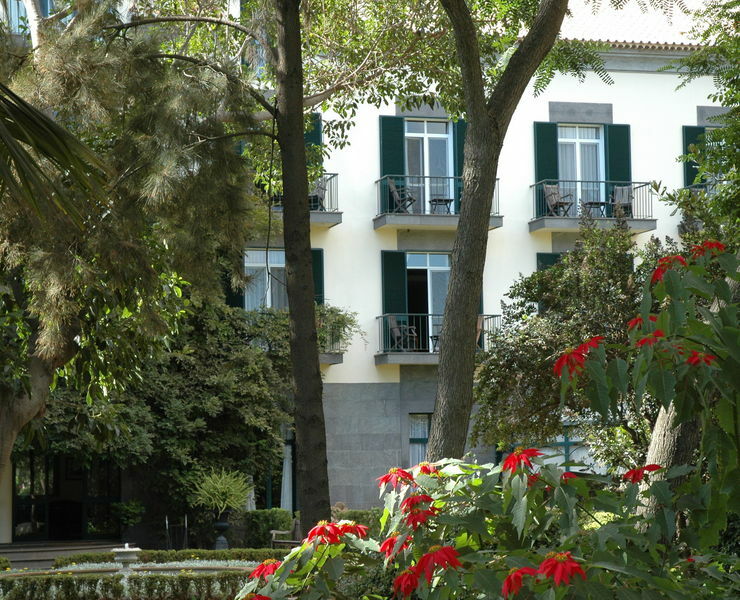 Delightfully spacious it features a large private terrace overlooking our old established gardens or Funchal mountains. 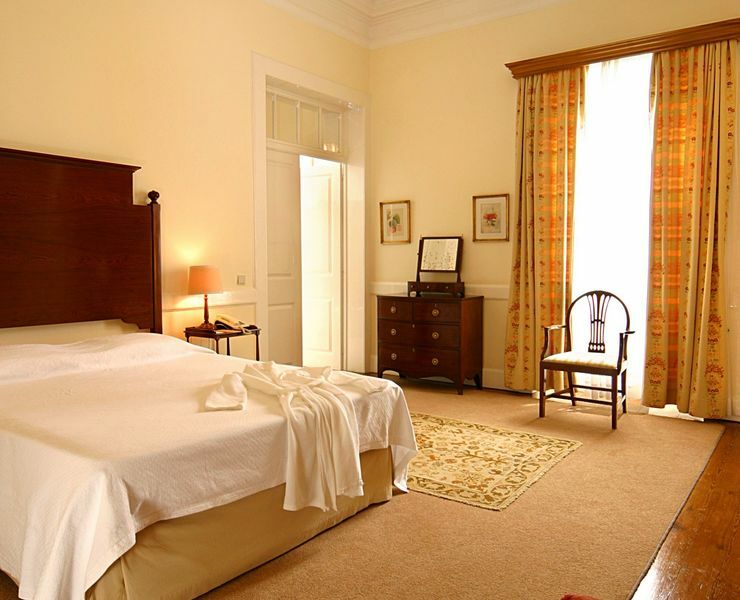 Available with 2 twins or 1 king-size bed. 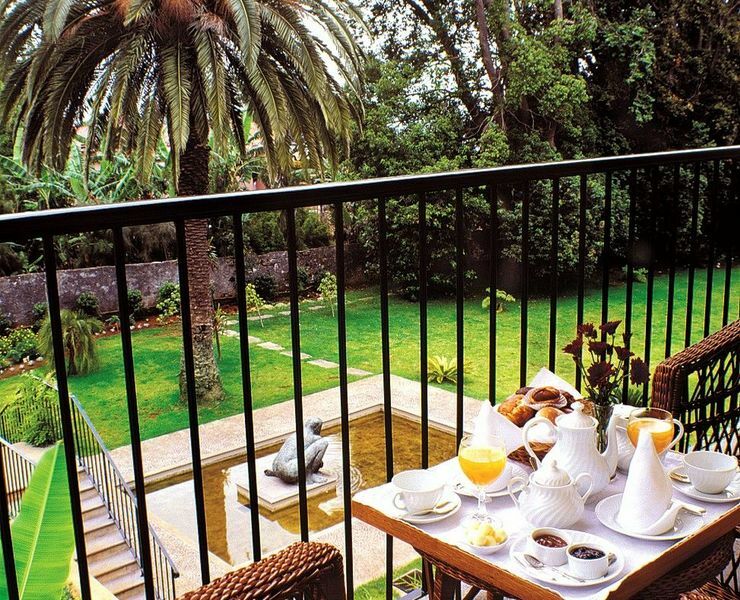 These junior suites located in the "Manor House" feature views overlooking our lush gardens, or Funchal bay and mountains. 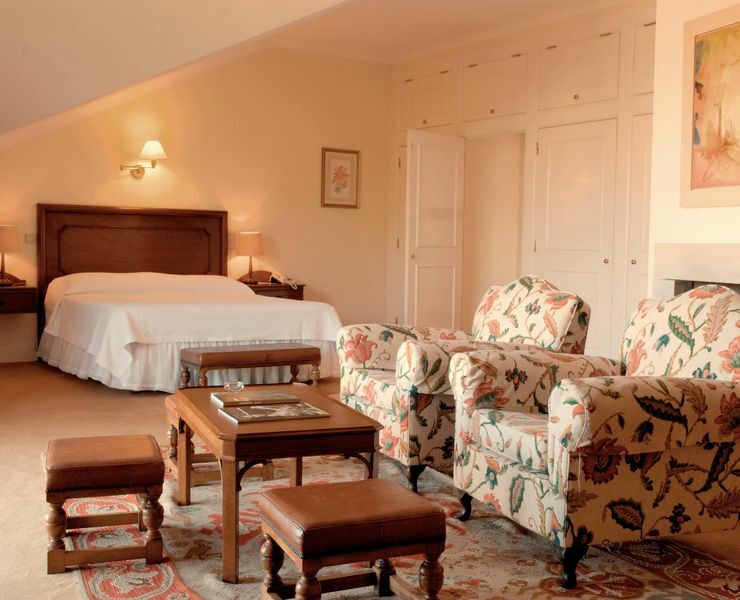 Decorated in the elegant classical style, these suites feature restored antiques, offering large bedroom areas separated from comfortable sitting areas, queen or king size bed and more than 55 sqm. 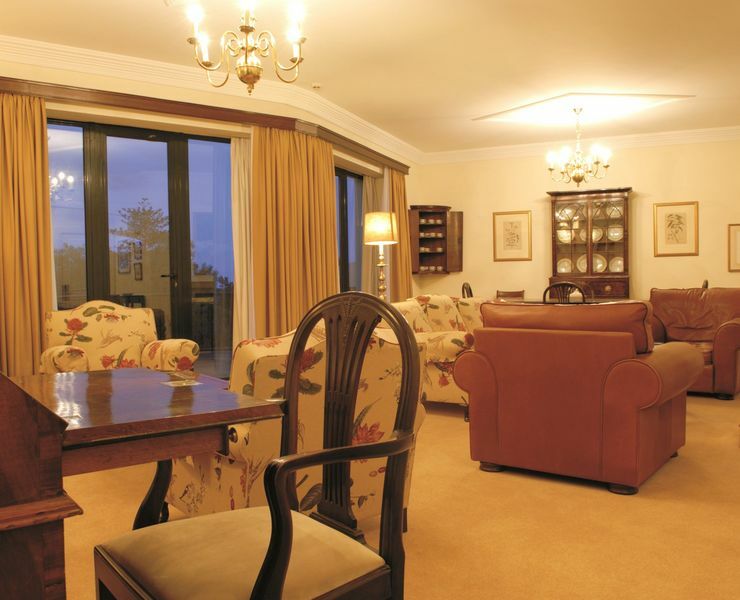 Two of these junior suites have a separated living room and bedroom. 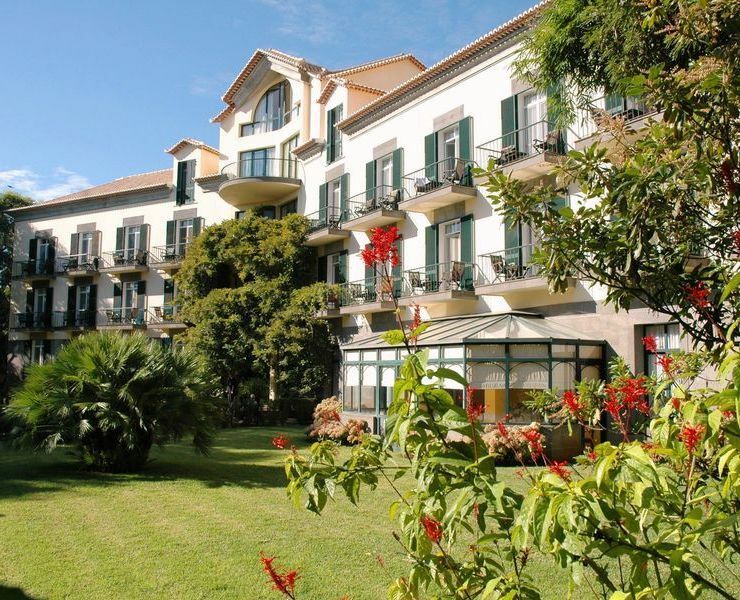 This penthouse suite with average area of 165 sqm is located in the reception building, features a large terrace overlooking our lush gardens, Funchal bay and mountains. 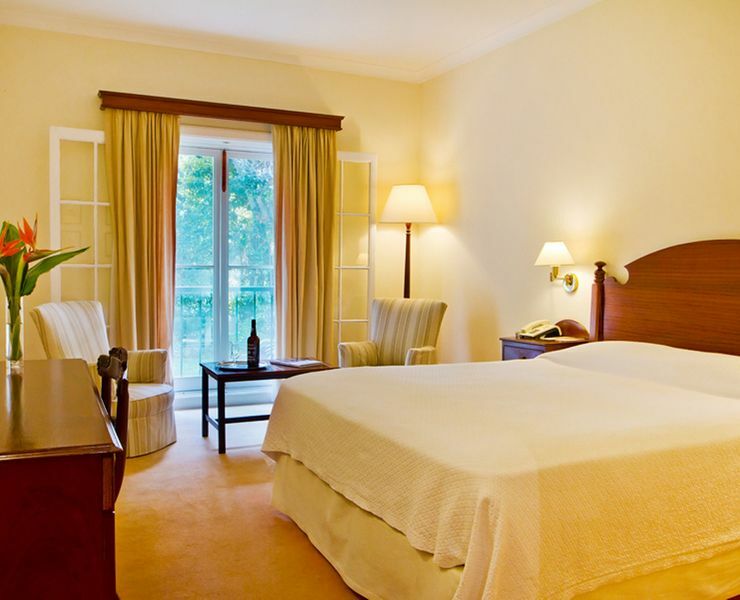 Two elegant and spacious bedrooms with sitting area, king size bed and TV LCD. 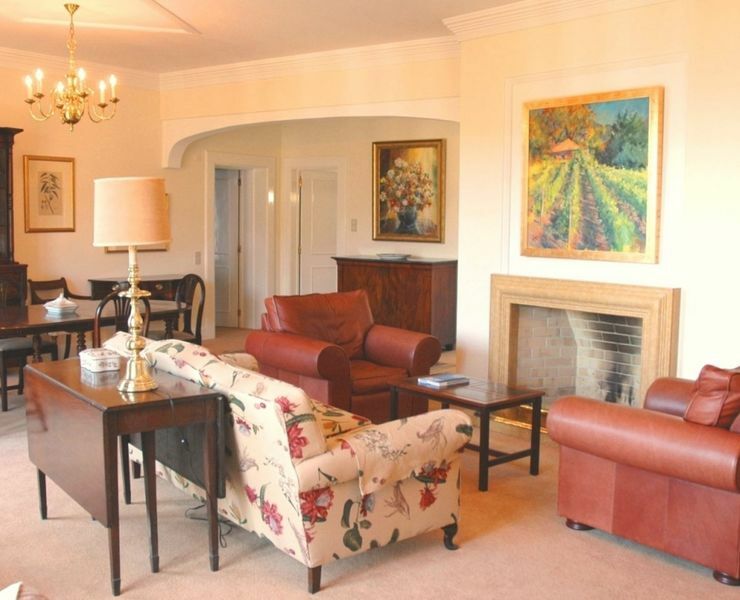 Decorated in the elegant classical style, featuring restored antiques and artwork, offers a large and comfortable living room with a dinning area and fireplace and a fully equipped kitchenette.